I have been working a a writer in Hamburg since 2008 and have written a lot of scripts in these years. 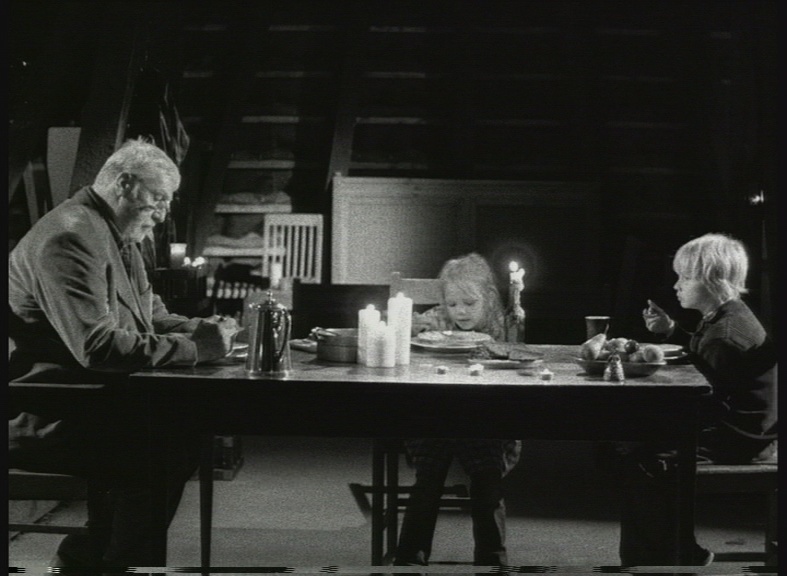 (Carlheinz Heitmann, Alban and Daytona Hansen) In 2008 I wrote the filmschool short film „Long shadows“ (director: Franz Indra, Production: HfBK) based on a short story by Eike Imping, which was shown at the Ambulart-Festival internationally, at the Internationales Filmfest Braunschweig, as part of the short film evening at the Zinnschmelze Hamburg, during the shortfilm-broadcast Short-O-Mania of the Filmboard Karlsruhe and at the Open-Air-summer-shortfilmfestival AeroeShortFilm at Ærøskøbing. 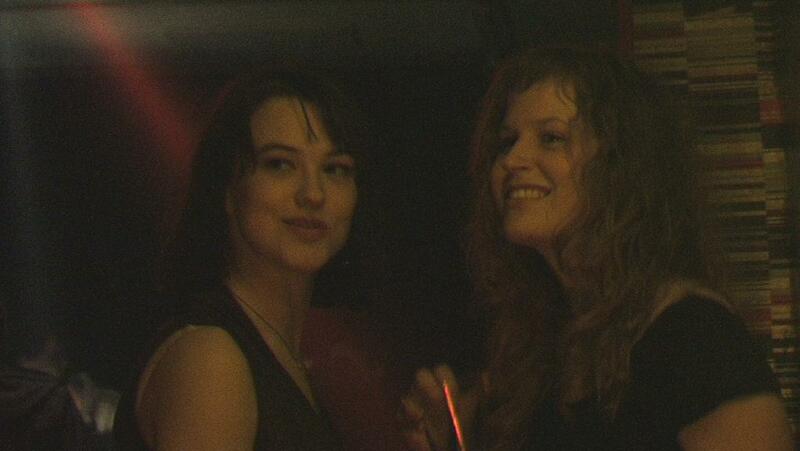 ( Arja Sharma and Ann Kathrin Doerig) 2008 I wrote and produced the short film„Girls“, shown at the Move@Moor, at the Filmfestival Alzey and at Students vs. Tarantino. 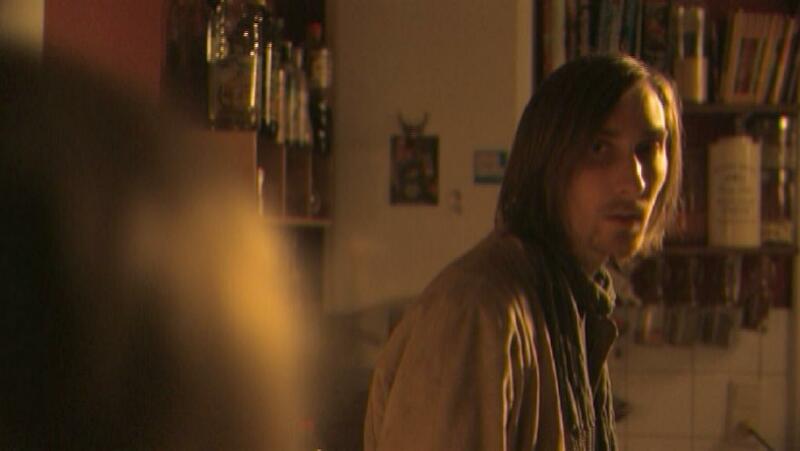 In 2009 I worked as a co-author for the diploma short film „Bobby plays life“ (director: Matthias Heuser, production: MICA Film), public film funding from the Filmstiftung NRW, in 2010 chosen as the short film of the week at www.fmarket.de. As a co-author I worked on the webseries „Big city heros“ (director: Sinan Al-Kuri, production: Rollbergfilm, 2009, articles at Echo online, TV Digital, Berliner Zeitung). In 2011 I was co-author for the short film „When a boy saw a rose„ (director: Noah Schuller, production: Hochschule für Film und Fernsehen Konrad Wolf). In the same year, I worked as a co-author on the diploma film „Bardo„ (director: Jan Wilde, production: KHM Köln/Vision X, which was shown at the Cottbusser Filmfestival 2012 and won the Und Bitte Filmpreis ). 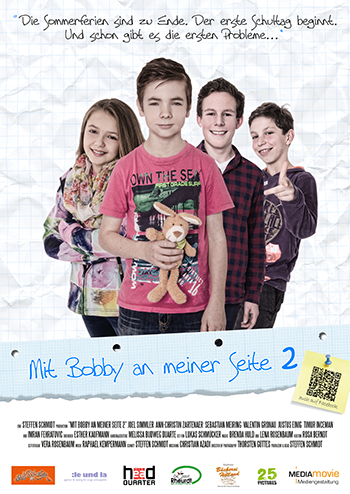 For the kids shorts trilogy „Mit Bobby an meiner Seite “ for director Steffen Schmidt, I wrote part 2 and 3 in 2014 and 2015. „Mit Bobby an meiner Seite“ 2 and 3 was shown at TV station nrvision, on Youtube and it had a couple of cinema screenings. The third part has a little documentary about it as well! Other projects have been finished as a script, but are still in production or financing phase. In 2009 I wrote the script for the feature file „Bloody confession“ (director Philip Polcar, develeoped for Maximum Uncut). I just got the rights back and look forward to finding an interested producer for the script! In 2011 I worked on the concept and finished three sample scripts of an animated series for preschool children „Flora and Patsch„ (director Lilja Häfele, production: Lilienfilm, still in financing). So far, financing this little gem just hasn’t worked out yet. In 2011 I wrote the dialogue script of the feature film „20.000“ (production: Andreas Simon), which hasn’t been financed yet. 2014 I was comissioned with my colleague Corinna Gerhards to write two episodes each for the series „Mindfuck Stories“ adapting the short stories by Christian Hardinghaus for PRovoke Media. We were lucky enough to get public film funding by Nordmedia. Sadly because of the folding of the production company, this interesting project hasn’t been pursued any further so far. 2014 I was commissioned by Norwegian company Earthtree Media, international producers of the hit shows Learn To Draw Minis und Box Yourself. Together with colleagues Angela Amoroso from Oslo and Simon Parsons from Scotland I worked on the series development of „Doodle the world“ and wrote 5 episodes on the kids animation series project about creativity. Also in 2014 I was commissioned to write an episode about Sophie Scholl for the international animation series project „Lives of the dissidents“ aimed at grown-ups. The project is still running, looking for financing and I have my finger crossed for this very important topic. 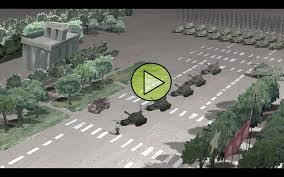 2015 I have been commissioned to work in the series development for animation production company Wunderwerk as well as Oetinger publisher and producer Kai Schöttle to create the new animation series Olchis. I also was commissioned to write two scripts. 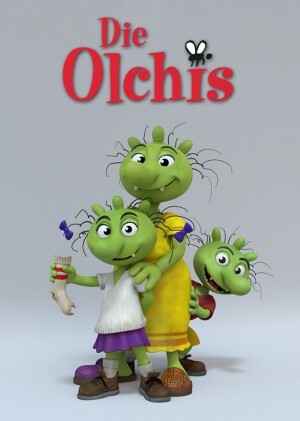 After successful financing of the Olchi movie, currently the series financing is underway and I look forward to continue working on the Olchis! 2015 I worked for animation production company Ulysses (Animationproduzenten des Jahres 2015!) and created a pitch bible for a kids animation series as a commission. Sadly the broadcaster didn’t pick our project, but it was such a pleasure working with Emely Christians and her team, so I hope to continue this working relationship in the near future! 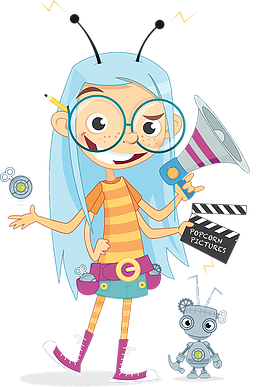 2015 I had the pleasure of working for Norwegian producer Nick Simons and his wonderful partner Camilla Storm of Sprocket an and develop the kids animation series „Popcorn Pictures“ together – I was responsible for the Pitch Bible and commissioned to write an episode. The two have presented the series successfully at MIP Junior and are looking for a good co-producer right now. I’m excited to be on board!